Here is how to add a general texture on the multiples signboards to form a picture. 1. Create a basic geometry to generate your crowds on. Assuming that the entities are going to be generated inside each faces keep in mind the number of rows and columns. 2. 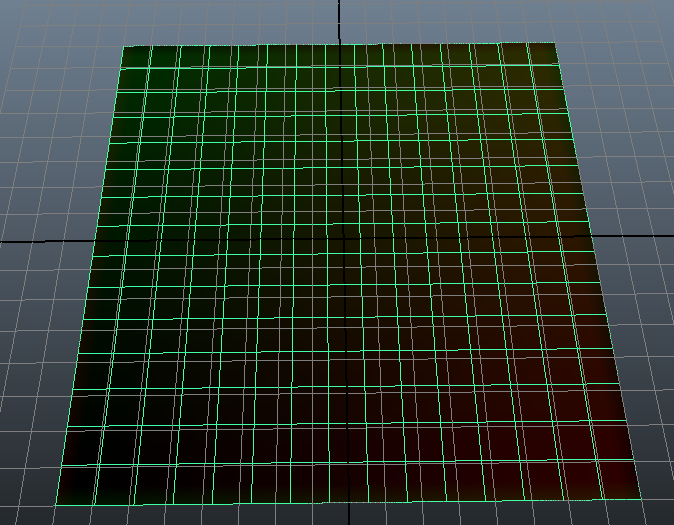 Create a UV offset texture based on the length and width of your grid placement. 3. Once this .ppm texture is created , convert it in png for example into your favorite image editor. 4. 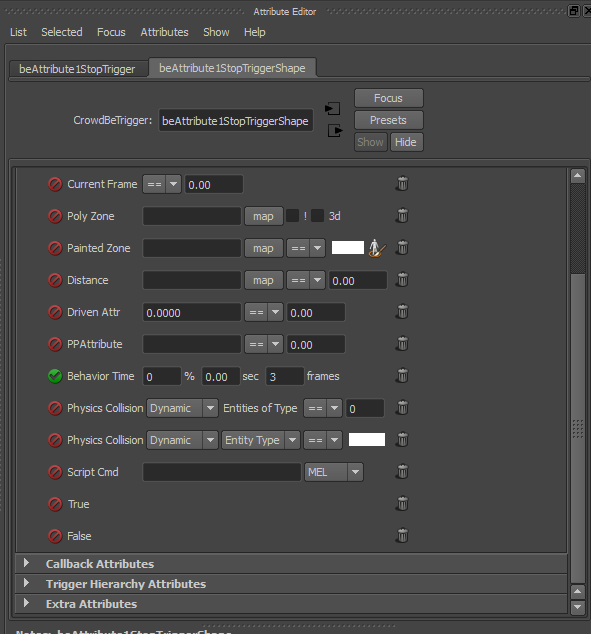 Load the texture in your scene by selecting your placement geometry and creating a Paint Trigger Zone . 5. Place the crowd by selecting the faces and using the Population Tool option "Create particles on selected component" . 6. To store the Id of your particles to offset the picture in your signboards create 2 ppAttributes in the crowd particles shape and name it "offsetYPP" and "offsetXPP". 7. In your shader scene create a shader for the signboards, using the maya 2D file texture connected to the shader color attribute. Be sure to map this shader to your Golaem character by going in the Character Maker geometry tab and clicking the reset shader button (save your gcha). Notice: the placement of the texture depends on the UVs of your signboard, check the UVs and adjust the placement with the Place2d texture's coverage and Offset. 8. 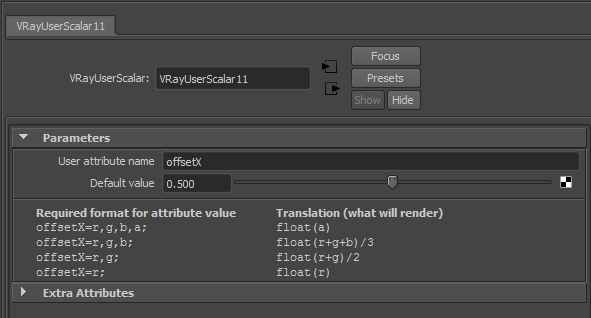 Add two getUserdata shaders and link them to the placement2dnode U & V offsets (if using V-Ray do not forget that it is the outalpha that you need to link to the placement2dnode). This will enable you to control the U & V offset of the texture applied to a particular tile with the offsetX and offsetY ppAttributes. See this tutorial to learn how to feed the getUserData shader with ppAttributes values. 9. 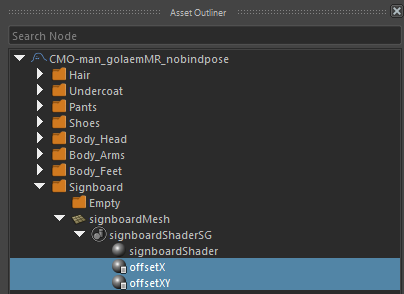 Go to the Geometry Tab in the Character Maker, find the shader assigned to your signboard and add two float Shader attributes to allow it to perform the uv offset: offsetX and offsetY. You can also use the Reset Shaders button after selecting the signboard Mesh Asset node. This will add the Shader Attribute nodes automatically. Tick the box to use the ppAttribute of your particles offsetXPP and offsetYPP. 10. 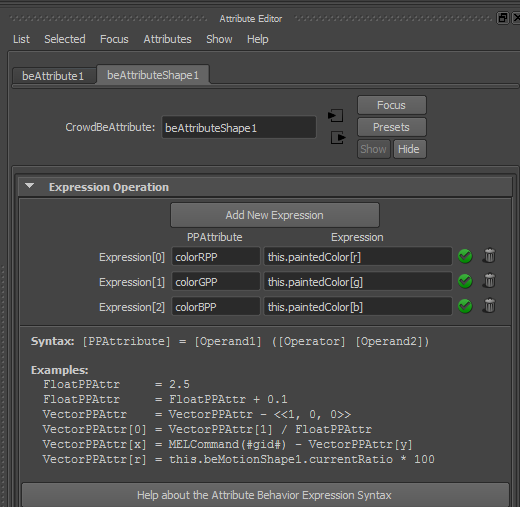 Go into your Behavior editor and drag and drop an Attribute Behavior into the Behavior Graph of your entities. 11. Edit its stop trigger for your entities to path through it and read the other behaviors we may add behind it. 12. 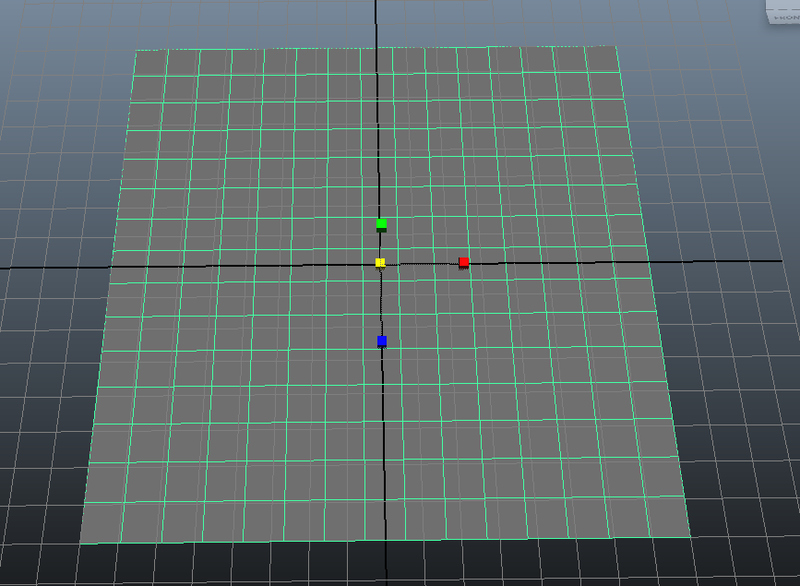 Inside the attributes of this behavior add some new expression to get the particles offset in X values. And some expressions to get the particles offset in Y values. 13. Add a Motion Behavior after the Attribute Behavior and load the animation of your crowds proudly rising their sign boards. 13. 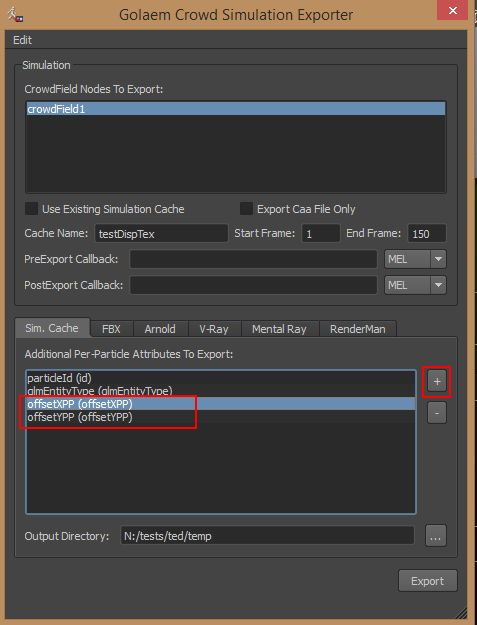 Edit your simulation to your will and export it using the Simulation exporter (do not forget to export your PP attributes by ticking the + box icon on the right side of the exporter window. Based on this workflow we could for example get the color of Paint zone Trigger. Let's start over from point 5. 6. To store the color of the Paint Zone Trigger where your particles are created on, add 3 ppAttributes in the crowd particles shape and name it "colorRPP", "colorGPP" and "colorBPP". 7. In your shader scene create a shader for the signboards, be sure to map this shader to your Golaem character by going in the Character Maker geometry tab and clicking the reset shader button (save your gcha). 8. 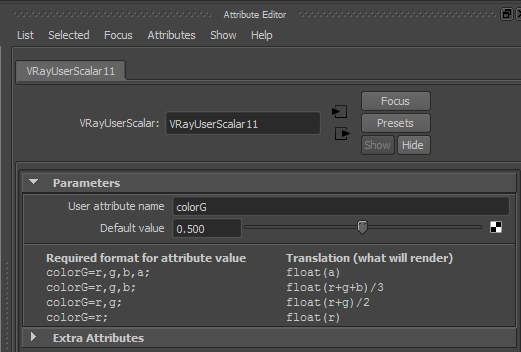 Add three getUserdata shaders and link them to the the diffuseR, diffuseG, diffuseB of your shader (if using V-Ray do not forget that it is the outalpha that you need to link to the diffuse). This will enable you to control the rgb values with the colorRPP colorGPP and colorBPP ppAttributes. 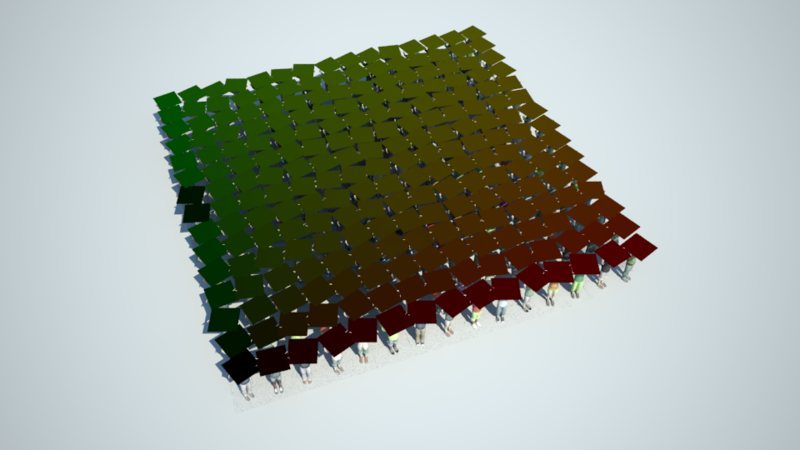 See this tutorial to learn how to feed the getUserData shader with ppAttributes values. 9. 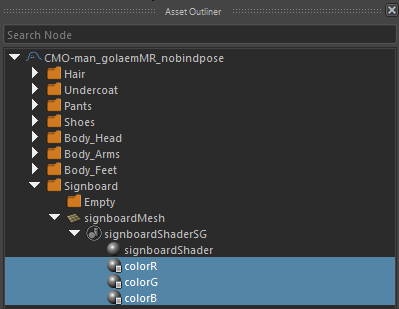 Go to the Geometry Tab in the Character Maker, find the shader assigned to your signboard and add three float Shader attributes: colorR, colorG and colorB. You can also use the Reset Shaders button after selecting the signboard Mesh Asset node. 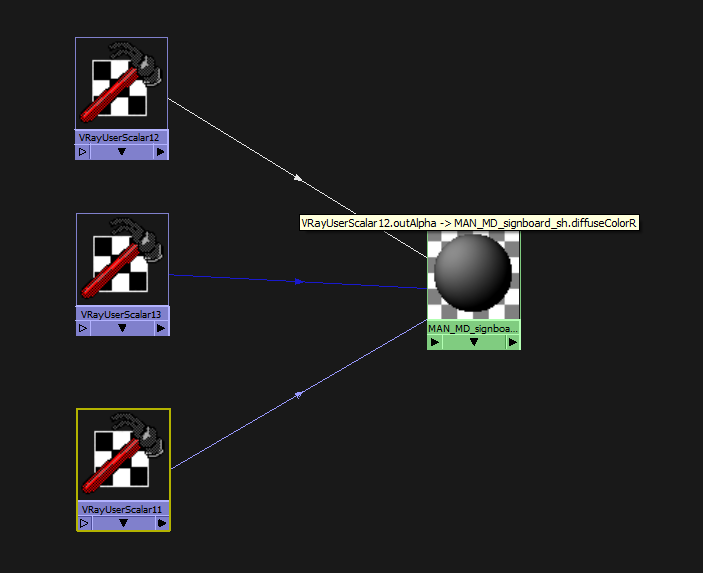 This will add the Shader Attribute nodes automatically. Link each attribute to the PP attribute colorRPP, colorGPP and colorBPP. 14. 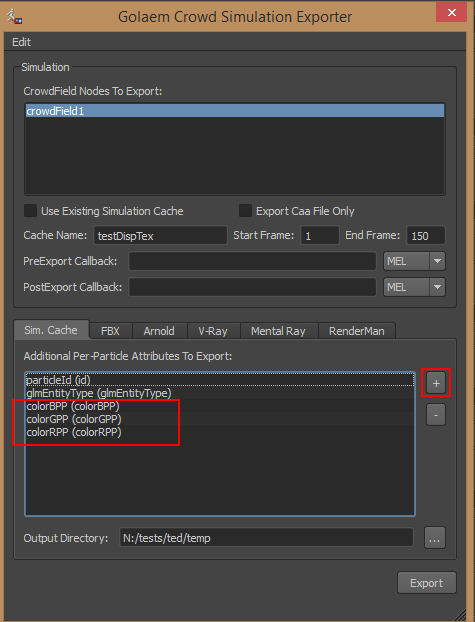 Edit your simulation to your will and export it using the Simulation exporter (do not forget to export your PP attributes by ticking the + box icon on the right side of the exporter window.